EDISON — He reportedly served as the inspiration for Tony Soprano. 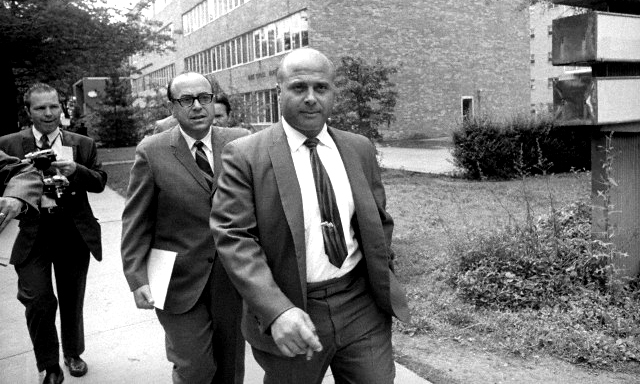 John M. Riggi—the crime boss who headed the Jersey-based DeCavalcante crime family for decades, controlling a powerful labor union that helped funnel millions into mob coffers—has died at the age of 90. Riggi, who was released from federal prison in November 2012 after serving time for racketeering and murder, died at his home in Edison on Monday, his family said. While known for his of charity and his involvement with the Police Athletic League, it was his tight grip on Laborers International Union of North America (LIUNA) Local 394 of Elizabeth that enabled him to shake down contractors, dispense jobs, and force companies to deal with mob-connected suppliers and businesses, said law enforcement officials. "This guy may be the last of the old time mob bosses for this region," said Lee Seglem, assistant director of the State Commission of Investigation. "He outlived all the big names." A short, balding, stocky man, Riggi graduated from Linden High School in 1942 as its class president and enlisted in the United States Army in 1943, serving as an aircraft and engine mechanic. But law enforcement officials said he was a close associate of the late Simone Rizzo "Sam the Plumber" DeCavalcante, who headed the New Jersey's only home-grown mob family, and he quickly became heir apparent within the organization.